Earlier today, TLS reported about a resident’s candle that nearly caused a home fire. This evening, we received a letter regarding the same candle. We purchased this candle before Rosh Hashana at one of the local Lakewood supermarkets. It seems to be a new product, so I figured that I would spread our experience with the tzibbur to prevent any tragedy in the near future. On the second day of Rosh Hashana towards Mincha time, my wife smelled fire coming from the dining room where our leichter tray rests. We checked out what it was and we noticed the plastic of this candle completely melted all over the tray with a small fire circulating around the leichter from the plastic and leftover wax. We quickly moved the tray into a sink where we knew that we can keep the fire contained. Baruch HaShem, after a few minutes and circulating the rest of the tray with water to prevent the fire from growing, the fire extinguished itself. The only small damage was to our leichter tray. Obviously, the results could have been way more devastating, especially on a day like Yom Kippur when everyone is in shul. There are 17 Comments to "Second incident reported with same candle type"
“Especially on a day like Yom Kippur”???? These yarziet candles , should be taken of the market . They are dangerous and a fire hazard. Why are the local supermarkets selling them for.99 cents. Get them off the market, my candle melted. Are these products regulated by Government agencies? Thank you for alerting the public about this dangerous product. Don’t purchase plastics ones. I purchased glass one. Because I knew plastic would burn. It common sense. Everyone should not purchase plastic candles. I used a 2 days candles in plastic. I had no problem . It burned nicely till the end. My plastic one also melted on the top. Very dangerous! When I used candles, I put them into a bowl filled halfway with water. This way in the event it cracked or melted, it would already be in water! I never had a problem though. Wow, great idea! I buy those glass large coasters to put under the candles, and number how many I have lit. Almost had a fire in my home because of cheap candles. We were all asleep. Please never, ever use plastic. 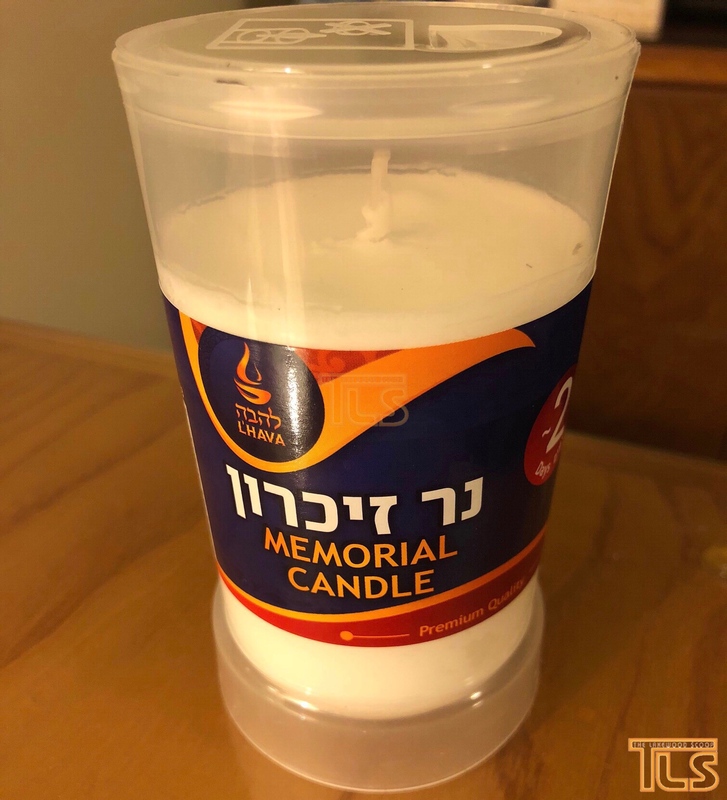 Unfortunately, since the Yiddish candle business became much more commercialized a few years back, quality control has not been a major focus in the flammable material business. Same goes for chanuka prefills. Same plastic, same danger. This requires an outright ban along with st moritz cleaner which makes it look like an ordinary kitchen cleaner. 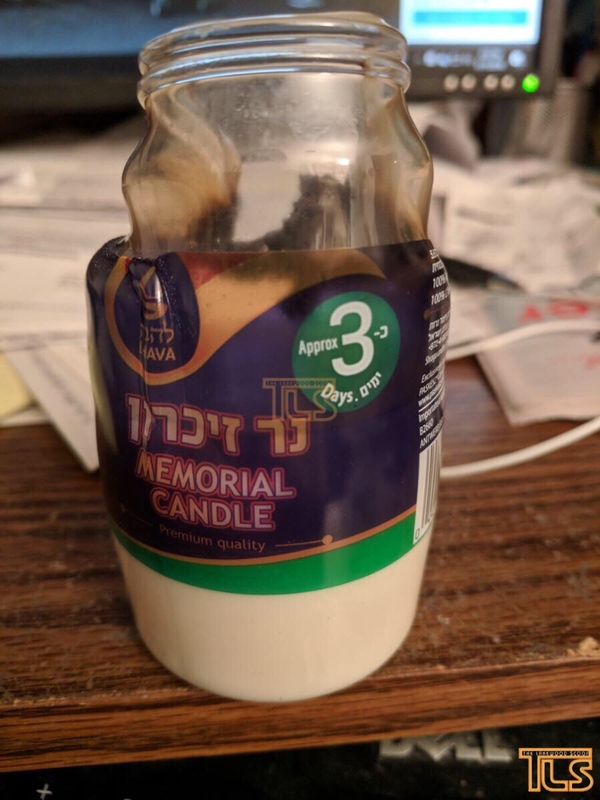 Shame on a yiddish company which takes advantage of other unsuspecting yiddin trying to light candles. There is a problem in our community with being careful with safety. Our electrical appliances such as hot plates and urns are not UL listed. I was looking for an urn that was UL listed and couldn’t even find one besides the low quality American brand. Matches have also become thinner so that they break when struck. Now this. Plastic for a candle? Of course that doesn’t even make sense! We have to demand better safety standards and not just buy whatever they put out there. I think we should request of the groceries and supermarkets to stop sellig them, bec. they are dangerous. They should be recalled and made illegal. Is it going to take a tragedy to boycott this faulty product? Call for a boycott in order that the company removes ALL these candles from the store shelves. When our electricity was out for 5 days by huricane sandy, we used some 7 day and 9 day candles. One bathrooms candle made a hole in the side and was melting the holder. Bechasday hashem i caught it in time!! Dangerous, dangerous! Should mot be sold, a catasrophe waiting to happen r”l.